Chelsea have enjoyed a good start to life under Maurizio Sarri with the former Napoli coach impressing everyone with his style of football on the pitch. The Blues have had a slight wobble of late but they remain right in the mix for the Champions League places thanks to an excellent start to the season which will be pleasing the powers that be at the Bridge. It is true to say that Sarri has made a good early impression but this Chelsea squad remains a long way away from challenging Man City and Liverpool at the top of the table which means there is going to be plenty of work for the club to do over the next few transfer windows. The January window is now just a matter of days away and while most of us sit down for our Christmas dinner, Maurizio Sarri and the Chelsea board will surely be busy mulling over their plan of attack. The current first team is riddled with players who are either not good enough, or past their best, and it could be that shedding some deadwood is the first step on the road to the Italian manager building the squad he desires. But who should go this winter? 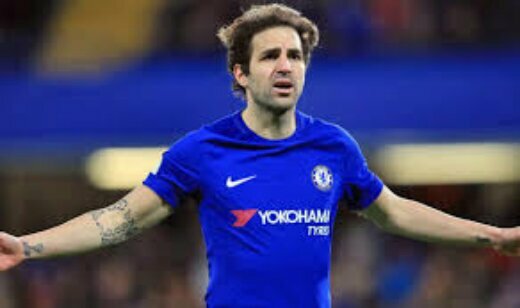 It is fair to say that the former Arsenal man has been a shadow of his former self over the past few months and it already appears as if Sarri has decided the Spaniard isn't the man for him. The World Cup winner is still high class on the ball, but he doesn't fit in to the current Chelsea team and now would be the ideal chance to get his wages off the accounts. A move to Serie A or Ligue 1 would make perfect sense. Another player who has been an excellent servant for Chelsea over the years and he deserves to be sold in the search of first team football this January. Sarri clearly doesn't rate the former England man but he can surely do a job further down the Premier League and he won't be short of suitors this winter if Chelsea do the right thing, and let him leave the club. Thanks for your service Gary. The forgotten man of the Premier League has been completely frozen out by Sarri since his arrival from Napoli and it is surely time for the former Leicester man to be put out of his Stamford Bridge misery. Clear his wages ASAP and let a man who is a title winner and an England international go away and rebuild his career. The 28-year-old is still young enough to be a major player at the top level but it clearly isn't going to be a top six club so it is time to cut ties. They are just three players who Chelsea should be looking to offload asap but that will certainly not be the end of the list as the club look to once again work their way into position as a Champions League club capable of winning the title.